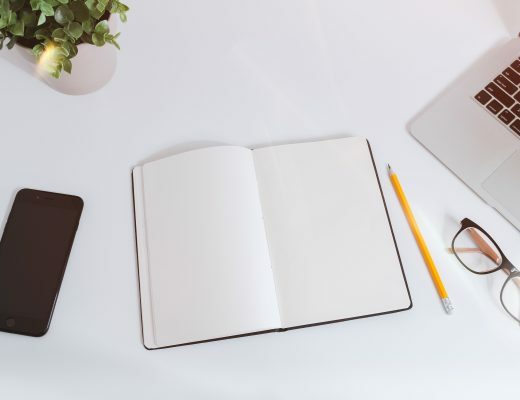 For this post, I spent hours researching to find you the absolute BEST and AFFORDABLE educational toys for toddlers in 2019. I have actually bought many of the toys in this post for my own daughter! There are literally millions of toys on the market for children. 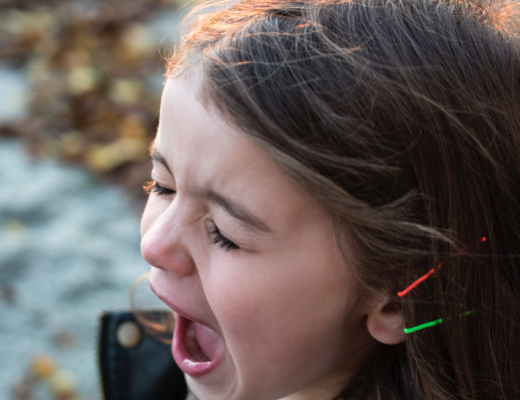 However, when it comes to buying educational toys for toddlers…thats when it gets harder. Did you know kids love to learn? Honestly, they really do! That is why I have created this list of the best and most affordable educational toys for toddlers. Get your birthday presents on a budget. No need to spend hundreds on toys that are just for fun when you can get toys that are bundles of fun, probably cheaper – and with which your toddler will actually learn from. Some of the links on this page are affiliate links. For more info, feel free to check out the Disclosure. There are four main areas of learning and development that toddlers go through in their early years. Most toys involve the development of more than one of these areas. 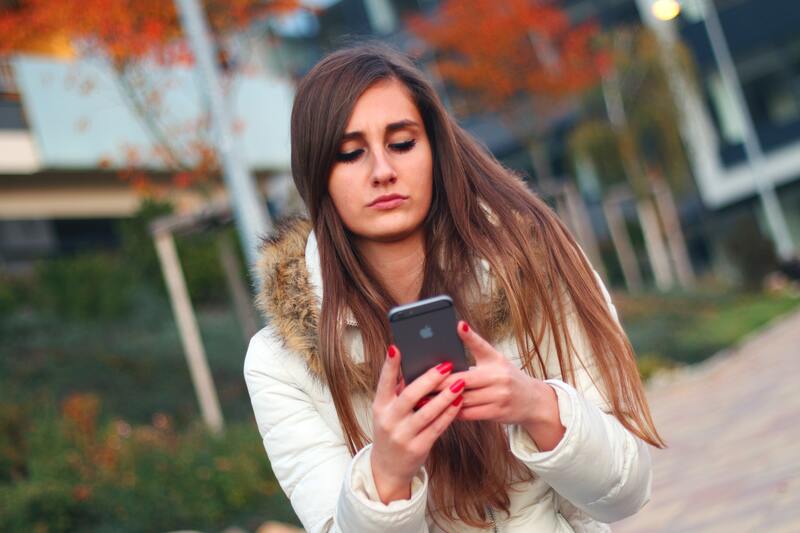 Cognitive learning is all about how the brain processes information. Toys that encourage the child to use their skills in logic and reasoning are things like puzzles and shape-sorting activities. How does a toddler learn colours, shapes, letters and numbers? How do they develop their problem-solving and pattern recognition skills? Toddlers are only just beginning to develop their physical coordination and motor skills. 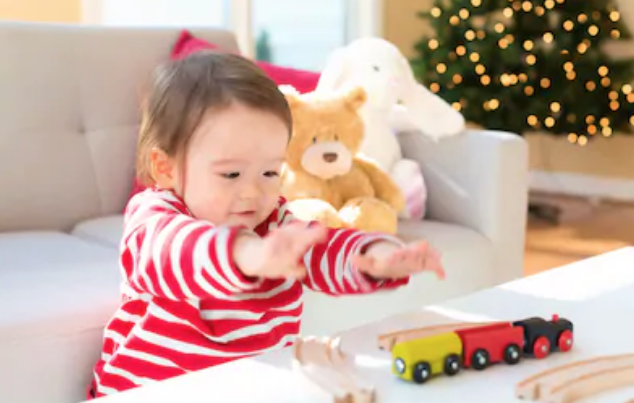 Toys that encourage physical development are ones which involve movement of any kind – whether picking up small puzzle pieces or dancing on a new musical play-mat. Balance and motor skills become easier as toddlers grow confident in walking and climbing. 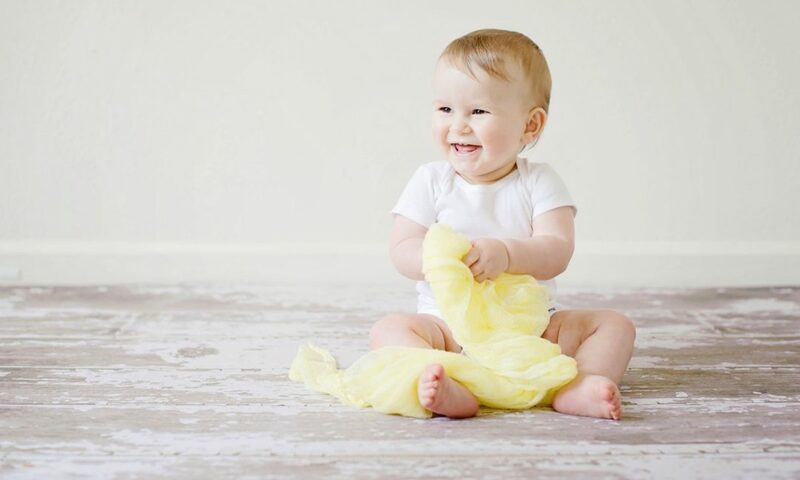 Gross motor skills are things like rolling over, jumping, moving their legs and arms etc. Fine motor skills include things like picking up small objects and using fingers, toes, tongue and wrists etc. Vocabulary and language abilities are only just starting to develop at this early age. Toys and books that encourage speaking and listening are beneficial to language skills. The first things they tend to learn to identify and be able to verbally communicate are letters, numbers and animals. 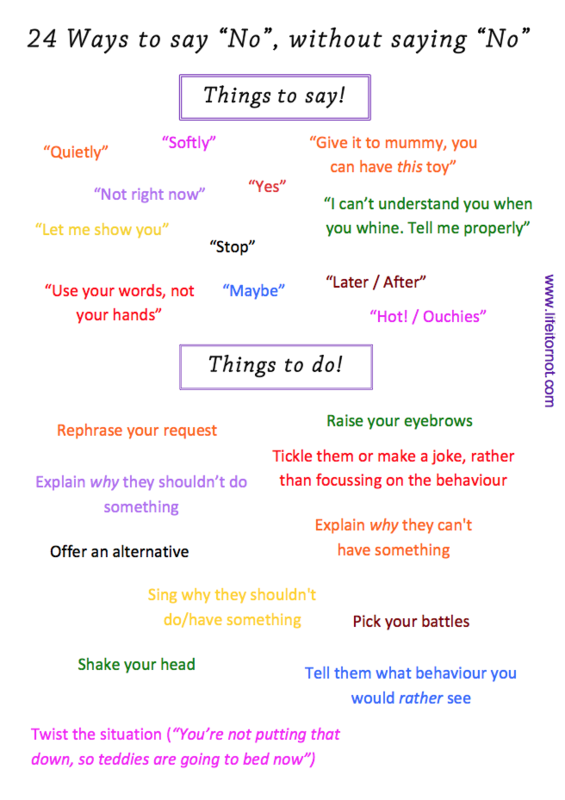 Toddlers learn their communication skills from their parents and the people they are around. Therefore, toys that have an educational aspect of sharing, working with others and even things such as caring for a dolly, are important to a young child’s social development. They learn how to respond to people and their emotions. They learn how to share and have empathy for others. Making friends and being able to share are difficult skills for toddlers to grasp as they do not yet have a wider understanding of how the world works. These flashcards are awesome! Although the recommended age range for these cards is from age 3, I personally believe they would be great for any toddler from 2 years old. 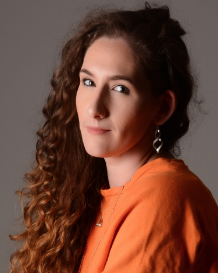 They are starting to develop their language skills and being able to recognise and identify is a skill that they are only just beginning to master. Phonics is also something that your toddler will be learning from pre-school age, so why not start them early? 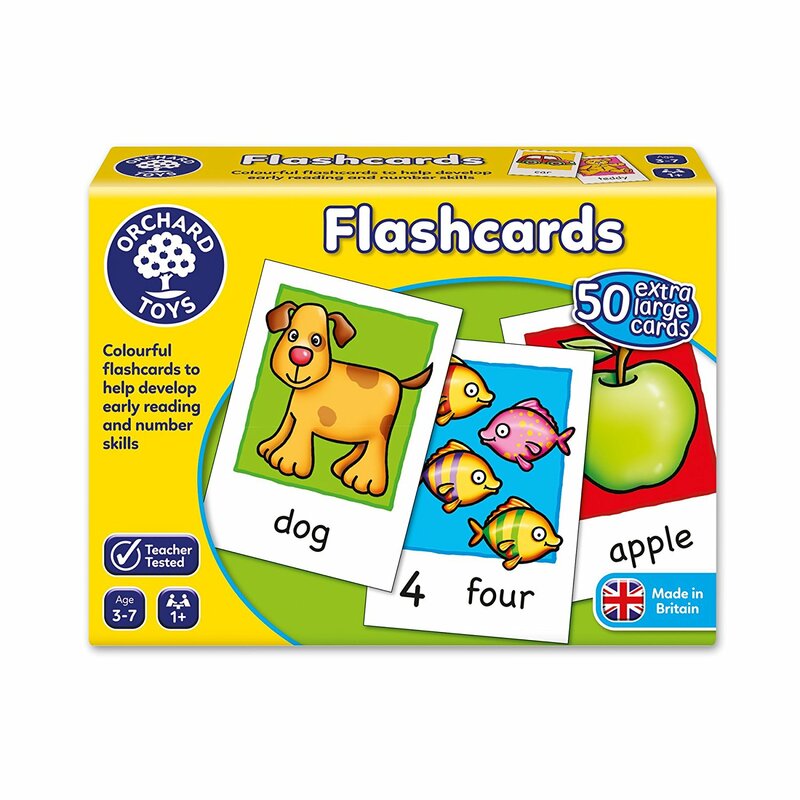 In each box you get 50 large double-sided flashcards which feature words, numbers and brightly coloured pictures. The cards are “designed to be progressive”, by featuring a mixture of simple and more complex words and numbers. This lego train is a great way to introduce numbers and counting. This train is made for building, taking apart and then rebuilding in any way your toddler wants. It comes with 23 pieces – all big enough that your tot won’t be able to fit them in his/her mouth. 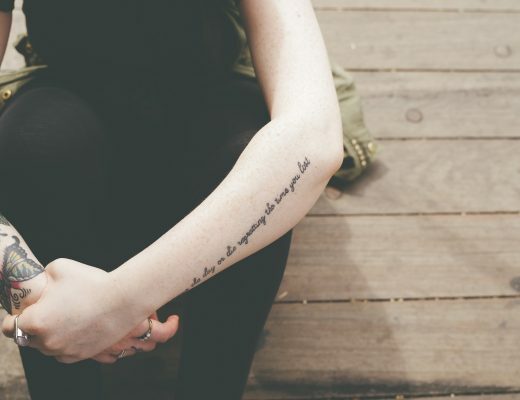 And, all small enough to fit easily into their hands. The pack includes the front of the train and three following wagons, and 23 separate colourful bricks, numbered 0 to nine (a fab way to start learning numbers). For added play opportunities, there are two child figures and a kitty figure to go along for the train ride. This funky puzzle takes a stylish twist on the traditional shape sorting games. Promoting colour and shape recognition, the sorting set has 18 wooden blocks in a variety of shapes and colours -and has TWO different sizes to differentiate between. This toy would last a good few years, as there are stages of development within it. Your child can fit the bigger shapes first and once they have mastered that, they can challenge themselves with putting the smaller shapes in to the correct places. Hand-eye coordination, fine motor skills and sorting skills are all used with this toy. It is such a simple, yet effective idea. You can even teach your child to take turns, by doing one shape each. “Your turn, my turn”! I can tell you right now that I got this for my 23-month old! 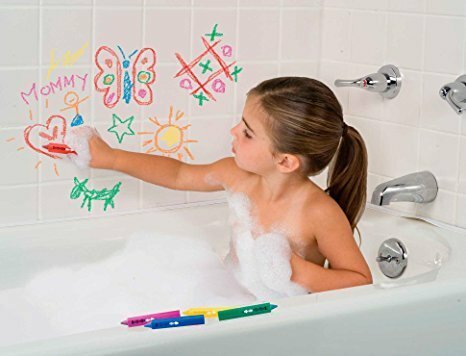 She loves drawing and colouring and what more of a fun time to do it than when you’re already having so much fun in the bath! Use the letters to help your toddler learn their name, how to spell dog, or even just ABC in the right order. The 65 (lowercase) foam letter pieces and 5 colourful bath pens are accompanied by a clever net storage bag which has suckers to stick it to the wall when not in use. A great space saver that also prevents mould from growing on the damp letters. You can use the 5 Bathtime Crayons on the actual bath itself, the tiles or EVEN…BODIES! Aghhh…there is so much fun to be had with this! Not only does Squidge LOVE playing with this during bath time, but I do too! With yet another twist on the traditional shape sorting game, this fun wooden safari truck on wheels does it with ANIMALS! The truck has a fun “slide-up” cargo door, 7 wooden animals and 2 wooden rescue rangers (one of each gender). The Alligator, Hippo, Rhino, Elephant, Lion Giraffe and Zebra are on a fun journey and need to be placed snuggly into their respective slots before the rescue rangers start driving. This is a fab way to promote the idea of wearing your seat belt when in the car. The sliding cargo door opens to let your toddler unload the colourful animals to play with them, before placing them back into their comfy slots. 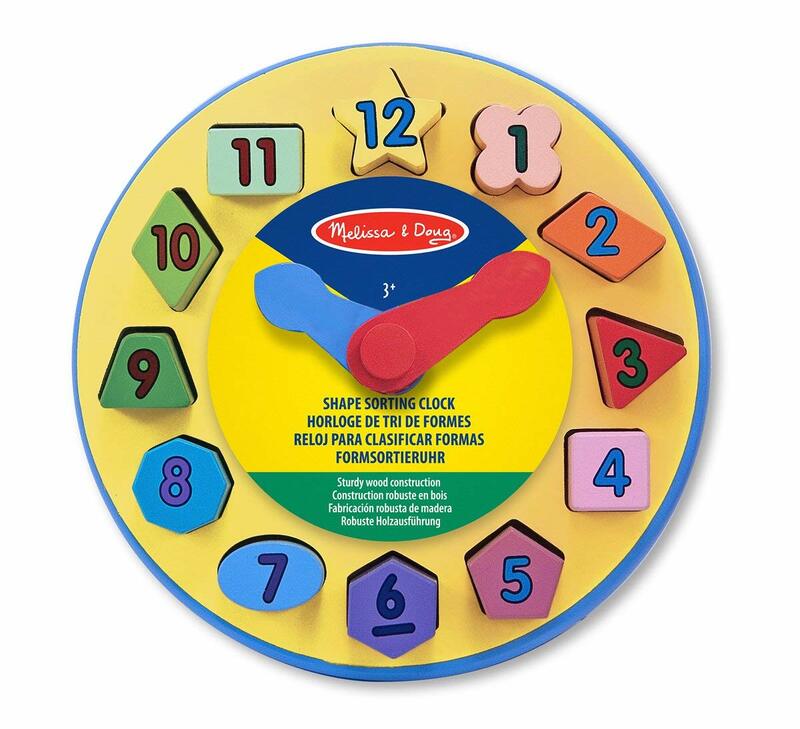 A wooden play clock with 12 shaped pull-out number pieces. 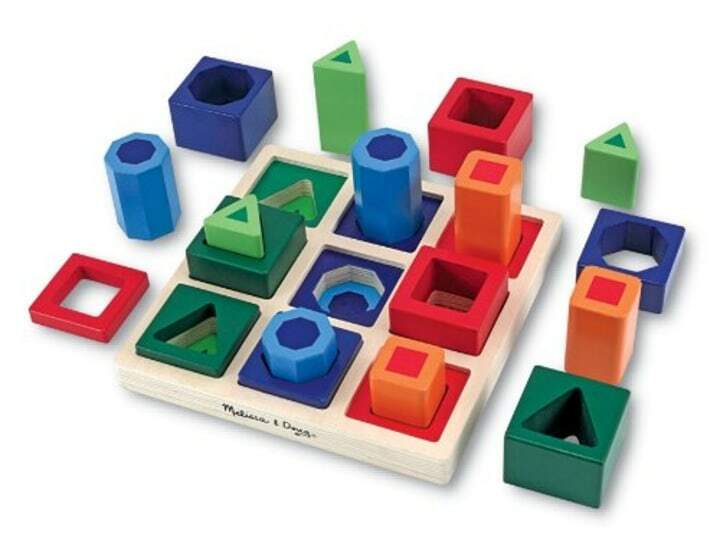 This toy is excellent for shape recognition, sorting, counting and general time-telling skills development. The hour and minute hands move and the placing of shapes in the right places promotes the development of fine motor skills. Although this toy is recommended for children aged 3+, I regularly use play-doh with my nearly 2-year old daughter. Known as a nursery play favourite, Play-Doh is a great way to get messy – without actually getting messy! 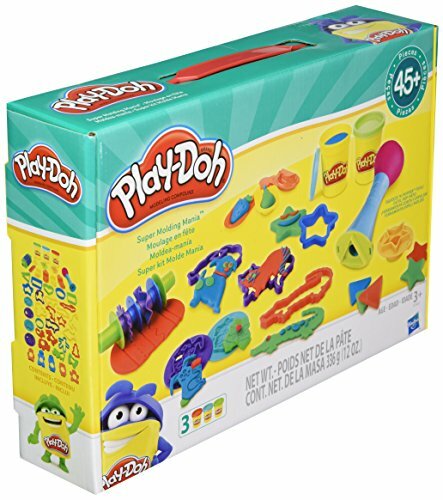 This pack includes 3 cans of Play-Doh (red, green and blue) and a huge 45+ different cutters, moulds and accessories to play with, offering endless possibilities for creative play and sensory stimulation. The first time I ever saw these eggs was actually when my baby cousin was playing with them. These 12 eggs (don’t worry – they’re not real!) are smooth and perfect for your tots tiny hands and each one contains a different colour and number. “They’ll love to mix ‘n match and get all the sets together!” Once your toddler has begun to match the eggs up, they will have an instant sense of achievement. 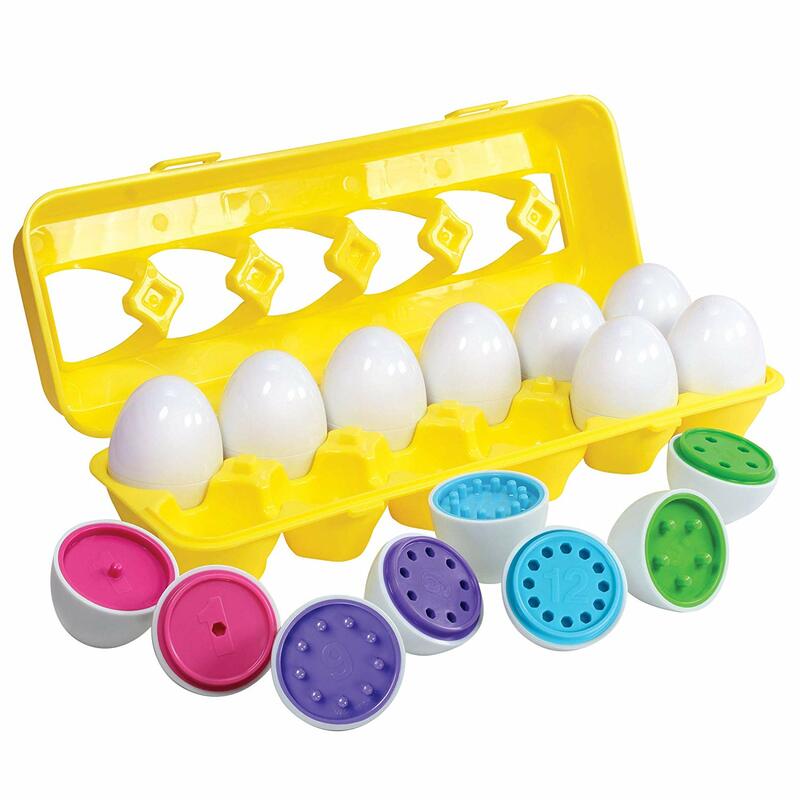 This game provides the opportunity to count, sort, match (pegs and holes inside each egg) and improve dexterity, motor skills. A handy plus about this product is that it actually comes with the bright yellow “egg box” case. No need to be finding random bits of egg all over the house. Although this toy encourages independent play, you can take turns matching the eggs or even invite a play-date around to play egg matching. This set comes with a WHOPPING 76 strong magnetic pieces! There are an average of 50 triangle and 26 square shapes and it comes with an instruction booklet with ideas and a neat little storage box. I know how much us parents love our storage boxes! Your toddler can assemble the smooth and “big enough not to fit into mouths” pieces into whatever shape they desire. They can even build a rocket, house, ball, star or airplane etc. With such a strong magnet, you need not worry about your tots creation falling apart, as they can only be separated when pulled apart (don’t worry, it’s not difficult at all). The STEM patterns and shapes allow children to “build an early foundation of mathematics” and develops the skills in colour differentiation, cognitive development, creativity and fine motor skills. This product even comes with a 100% money-back guarantee! This is another one that I have bought my daughter! 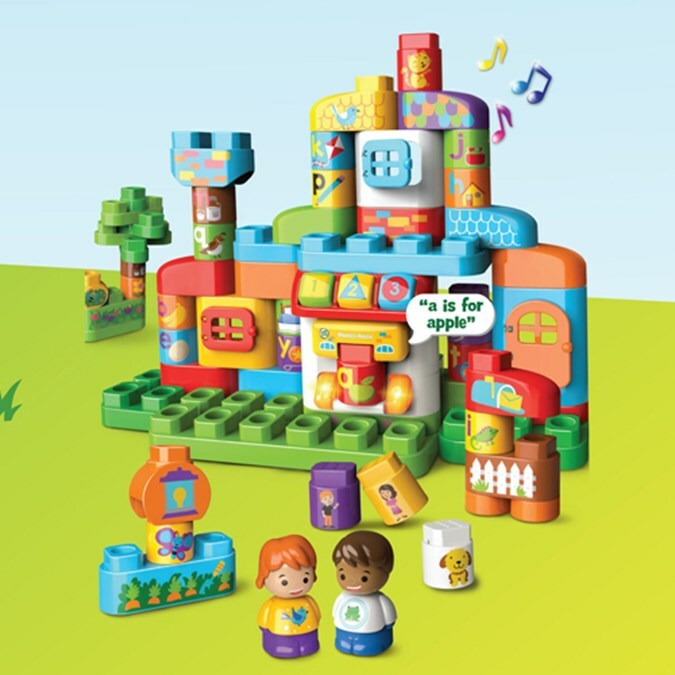 With a HUGE 80 pieces to play with for hours, the primary-coloured building blocks offer a never-ending opportunity for creativity and imaginative play. Fun at all stages of development, these blocks are great for developing fine motor skills and critical thinking and encourage for independent play. 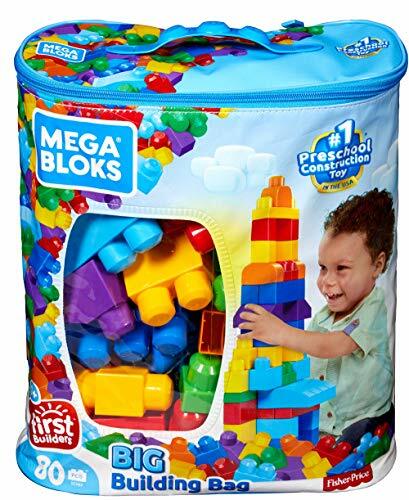 The blocks also come with a colourful, see-through bag, which has a handy strap for storage and moving around, and offers a quick clean-up time. 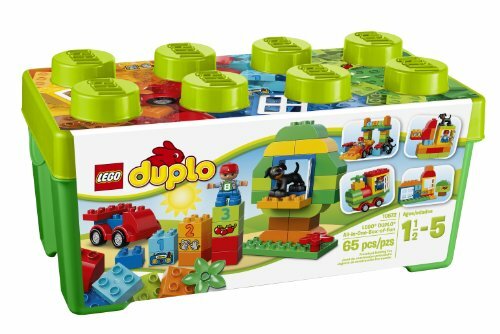 This set of 64 large lego blocks also includes a buildable wagon base with rounded edges and wheels that actually turn. There are 2 window blocks, a doggy figure and a boy figure. There are numbered bricks with matching decorated bricks to help your toddler develop counting skills, colour recognition and pattern recognition. The reason for the recommended age being 3 years minimum is mainly due to the little dog and boy figures. If your child is not one to put things in their mouth, this probably won’t be a problem for you. If your child does like putting things in their mouth, you might want to take the figures away or supervise play time. 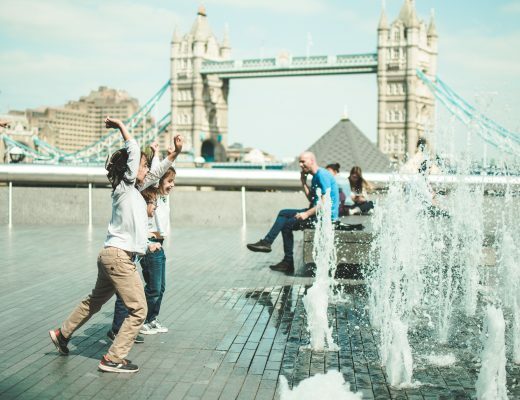 Playing with bricks also encourages hand-eye coordination and dexterity. 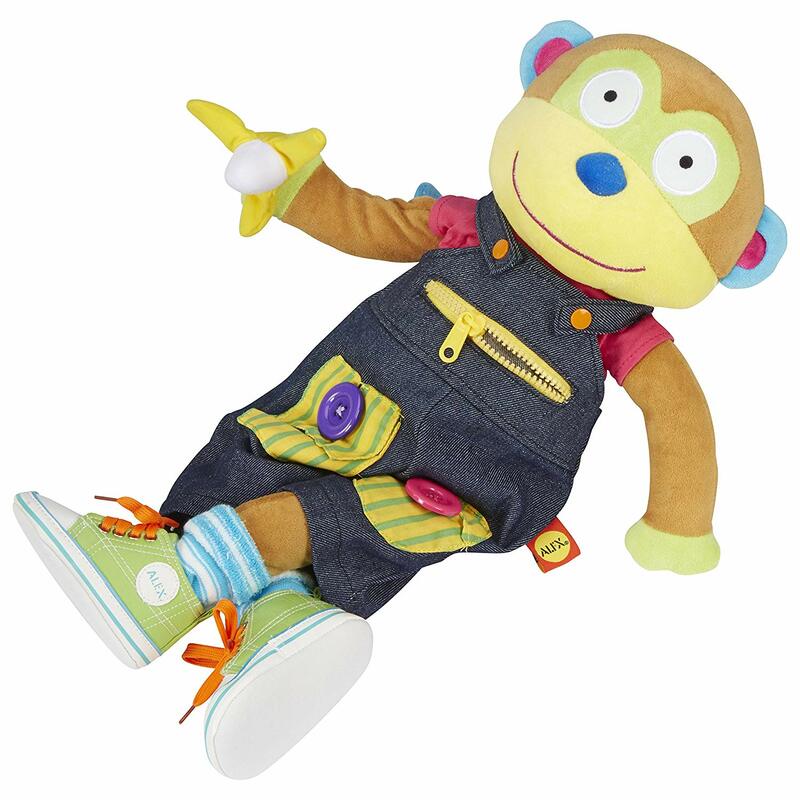 Alex, the friendly monkey is 21 inches tall and provides 11 different dressing activities. Your toddler can snap, button, zip, hook and strap, put on socks, overalls and a t-shirt. All of Alex’s clothes are removable and his shoes come with laces to teach your tot how to tie their shoes. You could play a game with it where your toddler dresses Alex in one piece of clothing and then you both do the same with the same piece of clothing on yourselves. All of the activities included with this soft toy promote the development of fine motor skills. Alex even holds a removable banana! Yep! I got this for my Squidge too 🙂 She loves playing with the zip – which is also helping her to master her own jacket. Put it this way, it takes us ages to leave the house now, because she always wants to do the zip herself. The Phonics House comes with more than 66 individual pieces. You definitely get your moneys worth with this product! The house section responds with OVER 80 phrases, sounds and songs whenever a double-sided blocks are inserted into the “magic window” slot. There are 5 Musical Piano keys which teach your toddler different shapes, numbers and colours, so your tot can learn their first letters and words. ** NOTE: This product only uses British English spellings, phonics and pronunciations. I remember having this when I was a kid! However, it has changed…a lot! A great addition for the older children is the “Quiz mode”! Point the little boy arrow to the question mark, pull the lever and your toddler will be asked to find a specific animal. Point the arrow to their answer and pull the level to find out if they are right or not. With a take-along handle and a large screen for little eyes, it is easy to see the 26 fun animal animations. 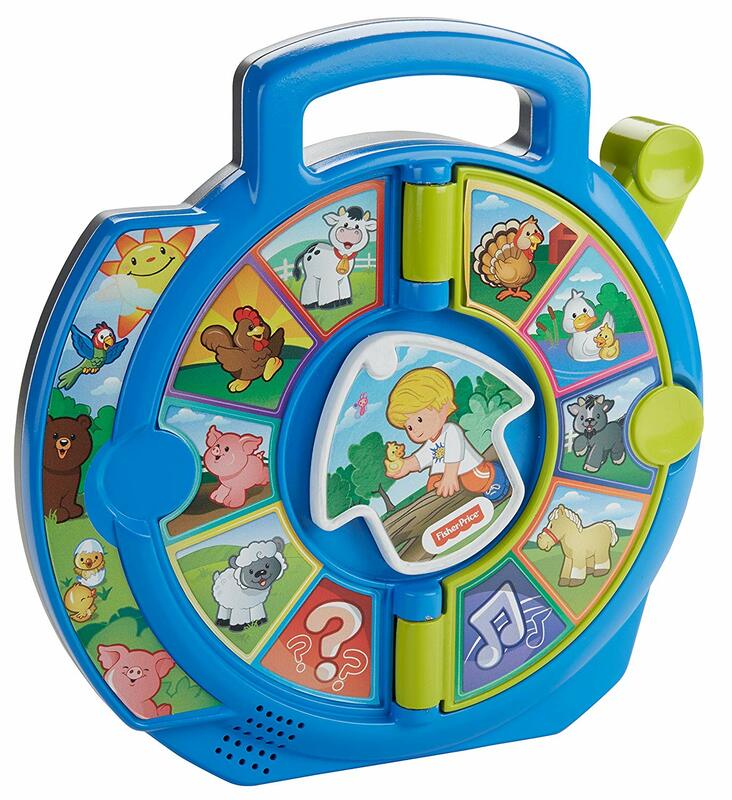 There are 4 learning modes on this leaptop – including ABC mode (learn letters), messages (pretend to send emails), music (16 fun songs and melodies) and games (animal trivia and letter games). There are 6 learning activity stations and your toddler can even personalise their leaptop to help them spell their name! Hand-eye coordination is developed using the keyboard and cognitive skills are utilised in the learning stations. This toy will make your tot feel included and more grown-up. 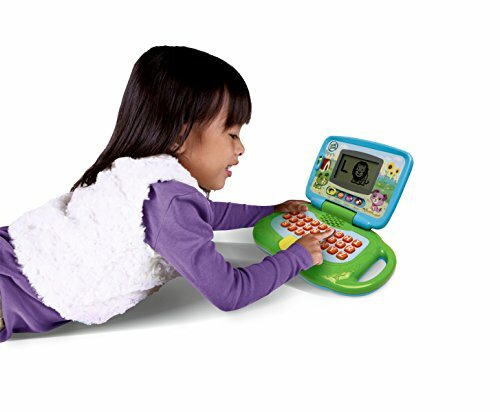 You will be able to help them learn through the fun of their very own leaptop laptop. This clever contraption brings an “enhanced opportunity for play and creativity” to the toddler world of fun! 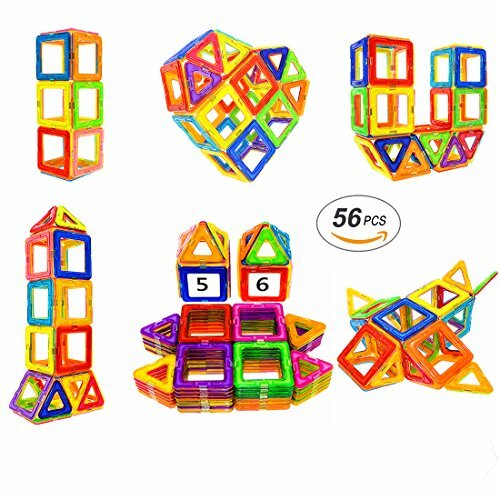 With no lead, plastic, small parts and non-toxic, this toy enables development in balancing skills, fine motor skills, pattern recognition and problem solving. Build imaginative models from these magnetic cubes, columns and parallelograms. Move them as if they were on a hinge and place them in any position imaginable. Endless fun and creativity in a box!